CROFT & Associates is proud to announce and welcome Stacey Chapman as Director of Business Development and Marketing. Stacey will be responsible for the leadership of the sales and marketing team, driving revenue and advancing the firm’s marketing and client development strategy. CROFT, an award-winning, national Architecture, Engineering, and Program Management firm acquires Seven Springs Architecture, Inc. Seven Springs Architecture, Inc. will relocate its staff to the CROFT Headquarters office in Kennesaw, located at 3400 Blue Springs Road, NW, Kennesaw, Georgia, 30144. CROFT was founded in 2004, and is an award-winning, national, multi-disciplinary architecture, engineering, and program management firm that serves clients in diverse public and private sectors. Licensed in 42 states, CROFT currently has active projects around the world. The CROFT mission is to serve clients with excellence, create an environment of growth for its team, and manage the company as trustworthy stewards. has joined our team as Program Manager. He is a proud veteran and business owner with impeccable integrity and leadership skills. A few areas of his expertise are Team Building, Cost Control & Analysis, Process Creation & Implementation and Employee Relations. Brian comes to us with a wealth of knowledge in all aspects of Architecture and Management and over 30 years of experience. As Program Manager with CROFT, Brian will work with Business Development, Revenues and Profitability associated with a specific client sector and / or a specific program for clients. O’Malley holds a Bachelor of Science in Mathematics and Operations Analysis from the United States Naval Academy and served as a Naval Aviator. While at the Academy, he was also the honored recipient of the “Admiral Calvert Award” which is awarded by all Navy Coaches to the top graduating Midshipman for achieving excellence in the Naval Academy’s mission of leadership, academics and athletics. On March 28th, YANMAR Energy Systems hosted an open house with a presentation of their Variable Refrigerant Flow (VRF) and Combined Heat and Power (CHP) systems. 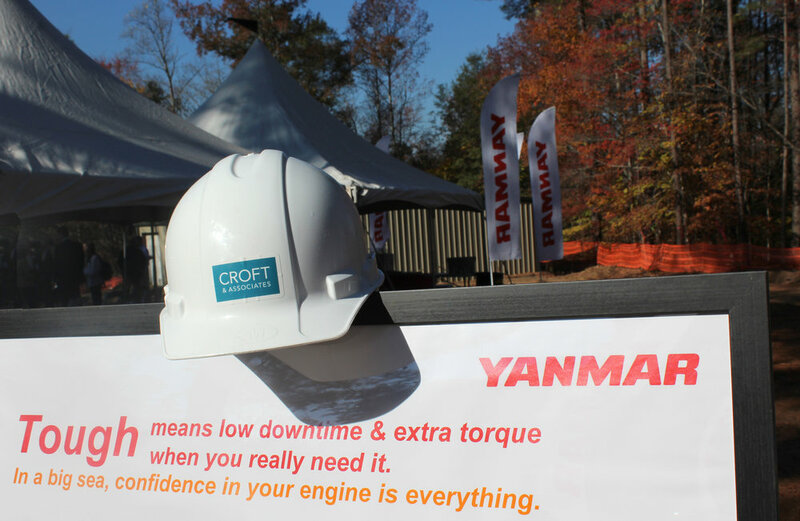 Miles Johnson, mechanical engineer from CROFT who worked on the design of the YANMAR EVO//CENTER took part in the presentation, showing what benefits you get when using these engine operated, natural gas heating and air system. YANMAR’s Combined Heat and Power (CHP) system uses an internal combustion engine, powered by clean natural gas or propane, to produce both heat and electric power. The unit efficiently utilizes up to 88% of the fuel burn versus 33% burn rate of conventional, from-the-grid sources. Using a natural gas-powered engine to drive dual scroll compressors, YANMAR’s Variable Refrigerant Flow (VRF) Heat Pump can maintain powerful heating performance, even with low outdoor temperatures, by capturing heat off the unit’s engine to increase efficiency. Not only do VRF units withstand some of the toughest temperatures, they do it with supreme efficiency. The cost of operating the compressor in our outdoor units is 1/10 the cost of that of a standard electric system, resulting in hundreds to thousands of dollars of savings in electricity costs. 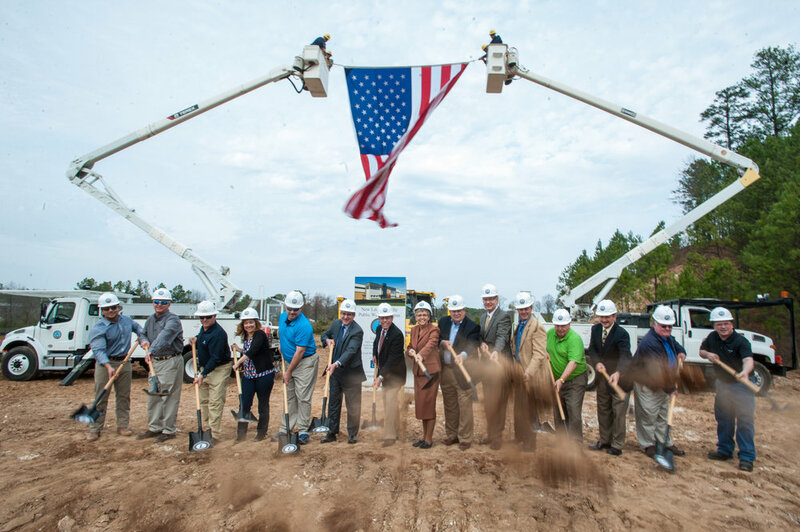 On Tuesday, February 28th Lawrenceville city officials celebrated a groundbreaking for a new public works facility. 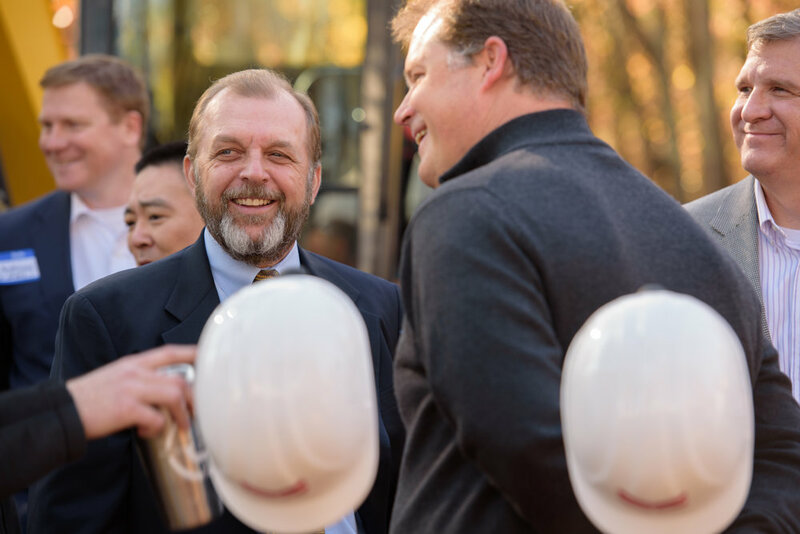 The groundbreaking ceremony took place on the 25-acre site which was formerly a home to a lumber yard and retail space. This new public works facility will bring together the city’s services including electric, gas, damage prevention, fleet maintenance and streets and sanitation departments. 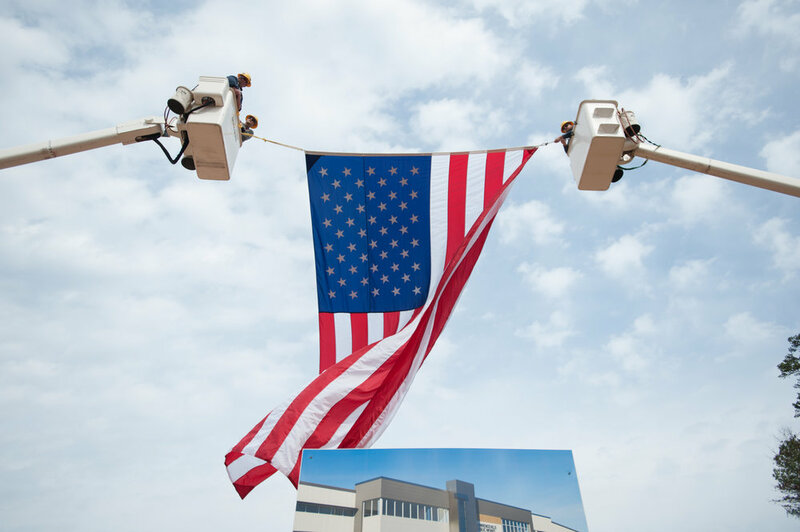 “We are grateful for all of those involved that have made it possible to build this new facility for some of the most crucial departments in the city. The departments that will be housed there are the backbone of Lawrenceville and what they contribute to the city every day is absolutely invaluable”, said Mayor Judy Jordan Johnson. The building is scheduled for completion in early 2018 and will become a home to 112 city employees. 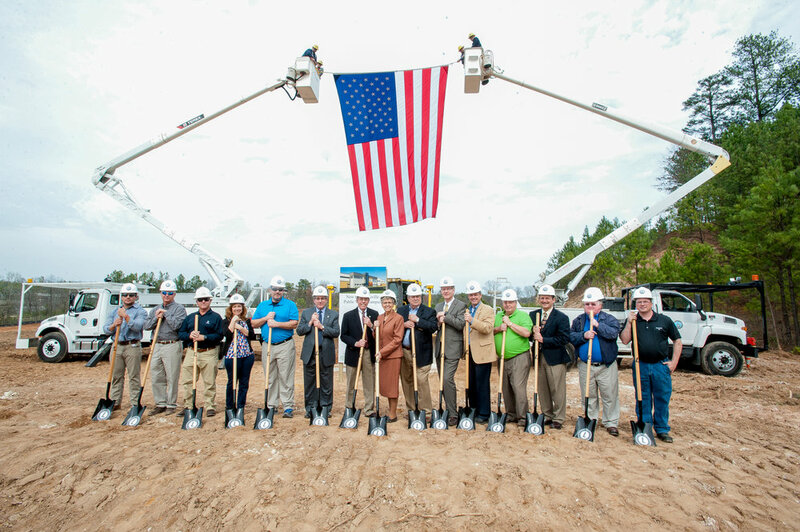 Construction on the Yanmar America Training & Experience Center commenced with a special groundbreaking ceremony in Acworth, GA on Wednesday, November 16, 2016. Yanmar America’s president, Tim Fernandez as well as Kengo Shibata, General Manager of GCSU, YANMAR Japan joined the ceremony to kick off the project. When complete, the almost 50,000 SF facility will feature classrooms with dedicated space for each of the business’ product lines: industrial diesel engines and generators, commercial marine diesel engines, agriculture equipment, construction equipment, utility task vehicles and energy systems; an auditorium; museum; gift shop; cantina; office space and meeting space. The scheduled completion date for the new training center is Fall, 2017. This was a great project to be part of and we cannot wait to see the final result! Yanmar America Corporation is the regional headquarters of Yanmar Co., Ltd. a global company based in Osaka, Japan. It was established in 1912, and in 1933 became the world's first manufacturer to develop a practical small diesel engine. For more information, please visit yanmar.com/us. Croft is a proud sponsor of the annual Matt Ryan Celebrity-Am Golf Classic, a fundraiser for The Children’s Healthcare of Atlanta Aflac Cancer Center. We are looking forward to this years tournament on April 11th! Pictured below is a shot from our team at the 2011 Tournament. 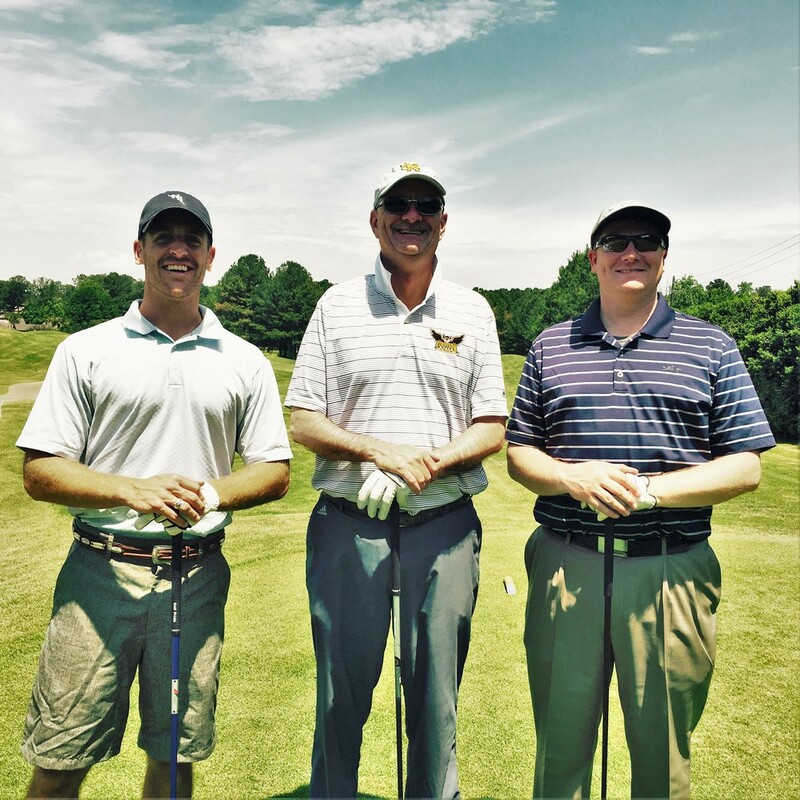 As a "Touchdown" sponsor, three Croft executives participated in the golf tournament at Sugarloaf Country Club, teamed with Atlanta Falcons quarterback John Parker Wilson. Live and silent auctions also contributed to the event. From left: Jim Croft, founder of Croft & Associates, Dan Baker of Duffy Southeast Construction, Atlanta Falcons quarterback John Parker Wilson, Mark Jackson, Vice President of Croft & Associates and Anthony Iorillo, Project Architect at Croft & Associates.